Jump on the planets and shoot your rivals in order to wipe them! 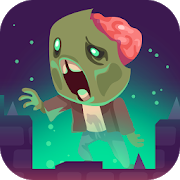 Get ready to enjoy -- collect power-ups and stay safe for as long as possible! Discover this thrilling space MMO where you need to obliterate as much as you can! Upgrade your ship, cooperate with other players in order to survive and get as far as possible! Enjoy this new version of Agar.io where you'll control an arrow! Use your pointer to move across a stage full of yellow circles and enemies willing to eat you. Grow bigger, become powerful and take over this unique world! Attack these helpless swimmers! Control a hangry piranha and chomp, munch, gnaw! Grow up as you eat more and more humans and run away from bigger piranhas. Start your game with a little fish and eat as much as you can so that you can make your way up the food pyramid. Become a crab, a squid, a dolphin or even a shark! Get to know your character and its skills and climb the rankings! Good luck! Discover a new challenging online game on Miniplay! Control your car and shoot your flail to defeat other users and become stronger. Play against people from all over the world and collect rainbow dots in order to grow bigger. Good luck! Catch your enemies and take over their paint spills. Can you be the strongest in this map? Control your bubble, aim and shoot your rivals! Move around the board, watch your enemies and run away from them. Use your mouse to move around colorful 3D stages packed with bright spheres. Help this little snake grow as much as possible and become number 1! Are you ready? Simply collect the dots on the board and avoid crashing into your rivals, just like in Slither.Io. Have fun! Choose your character's color and make their spikeball spin as you go for your enemies! Put your reflexes to test and avoid being hit first. As you make progress, your spikes will become bigger and bigger! Enjoy this new underwater multiplayer game based on classic 'Agar.io'! Start your game as a little piranha and eat as many shells and smaller fish as you can in order to increase your own shoal. Avoid bumping into other fierce piranhas and become the new ruler of the ocean! Shoot your enemies and grow bigger! You can kill as many rivals as you can and collect ammo in order to increase your score -- crush smaller enemies and stay away from the mines! 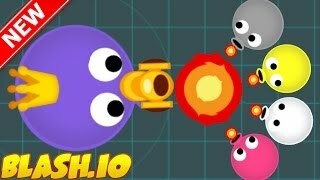 Blash.io KING TANK Dominating Game Like Diep.io/Agar.io! View more Agario videos Add a gameplay!